Is your brain giving up on you? The BRAIN is the most important part of the human body because it controls everything – all the things that makes us human. It is “the” inspiration for your device’s CPU (Central Processing Unit) and perhaps all of the world’s technological innovations including AI (artificial intelligence). Depending on the severity of the symptoms, the condition may lead to debilitating circumstances that may affect work, studies and one’s lifestyle. Another way of treating BRAIN FOG symptoms is taking all natural brain supplements just like Nature’s Kind NATURAL BRAIN BOOSTER which contains a proprietary herbal blend of three all natural health wonders: Eurycoma Longifolia (root), Moringa Oleifera (Leaf), and Gotu Kola (Leaf). I’ve been taking these supplements for more than two weeks already and it has helped me a lot. 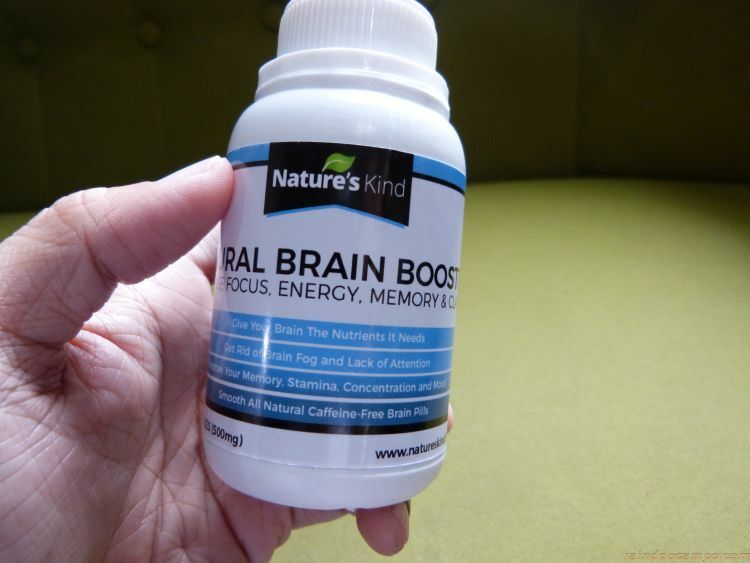 Prior to taking NATURAL BRAIN BOOSTER, I could only devote my whole morning to writing because I have noticed in the past years that my productivity lessens as the day moves forward. 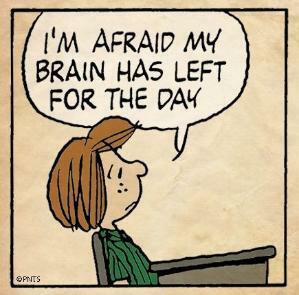 It’s like my brain automatically shuts off gradually in the afternoon and at night, I am already spent – often out of focus and tired. A week after regularly taking this product I noticed that I am now very much productive even at night which is really great. I couldn’t specifically describe what is happening but it’s like my brain can now do over time workloads. Also known as Tongkat Ali, this Southeast Asian tree-shrub is said to improve men’s sexual function and virility. 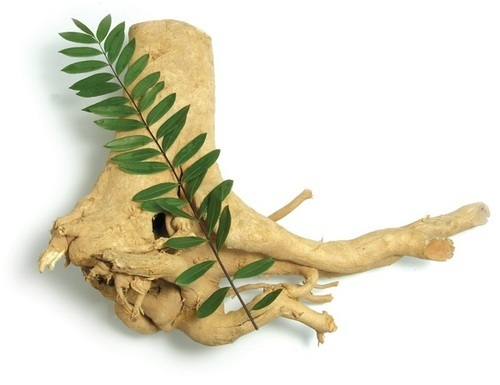 The root is said to contain several chemicals that may affect how the body produces the hormone testosterone. Aside from addressing male infertility, the plant is also said to have positive effects on one’s athletic performance, muscular strength and the reduction of stress and anxiety. Also known as Malunggay is one of the most nutritious plants there is. It is rich in antioxidants and boosts the body’s immune system to help fight all kinds of illnesses. Moringa is widely used as treatment for anemia, arthritis, rheumatism, asthma, cancer, constipation, diabetes, diarrhea, ulcer, high blood pressure, and infections (viral, bacterial, fungal and parasitic). 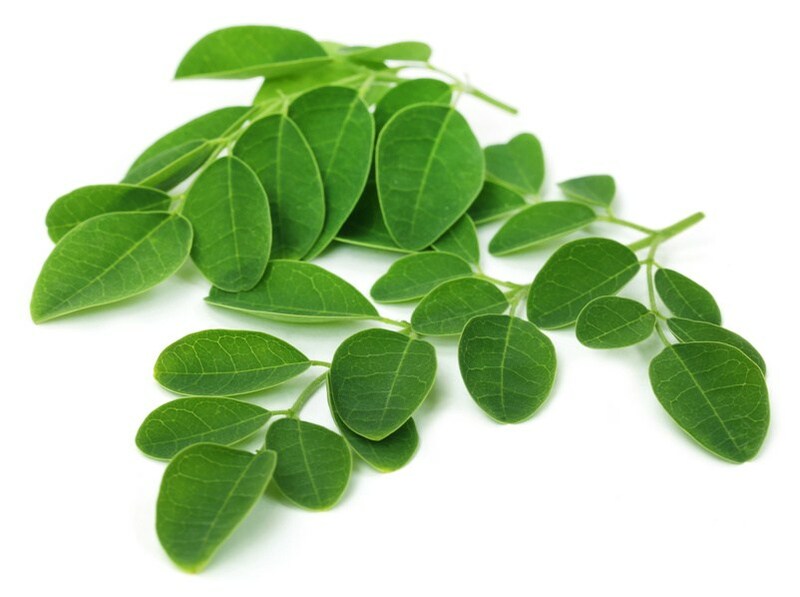 Moringa is the essential brain food because it contains a high concentration of iron, zinc, vitamin c, E and omega 3. A real food for thought! 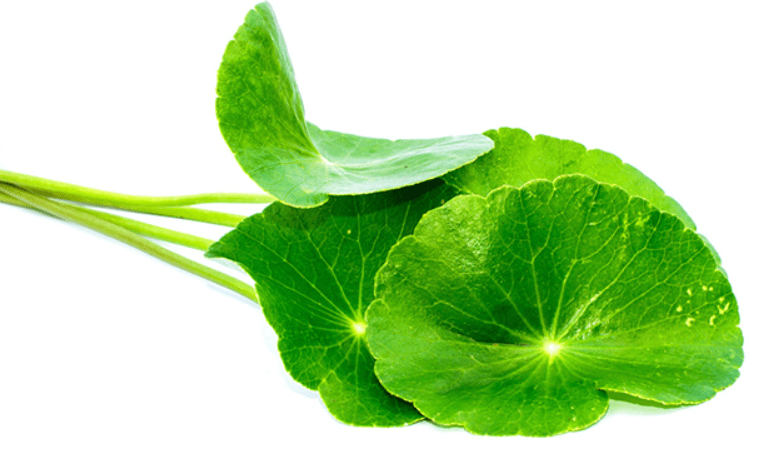 Aside from its antimicrobial and anti-inflammatory functions, the Gotu Kola herb which greatly improves the body’s circulation is also used to treat fatigue, anxiety, depression, psychiatric disorders, Alzheimer’s disease, improving memory and intelligence. 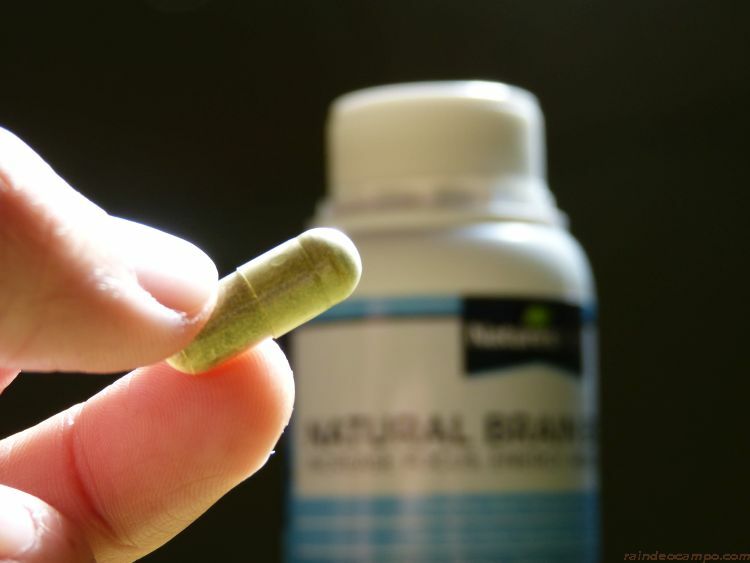 The combination of these ingredients in Nature’s Kind NATURAL BRAIN BOOSTER supplement provides adults with one of the best brain food in the market today. But according to the people from the brand Nature’s Kind, the key ingredient in this supplement is actually the Eurycoma Longfolia. Aside from giving you the most perfect brain food, NATURAL BRAIN BOOSTER as a natural consequence also boosts sexual functions especially in males. This supplement is not intended for children, pregnant and nursing women, or anyone under the age of 21. TAKE 3 capsules daily preferably after your first meal to get the maximum benefit from this product. 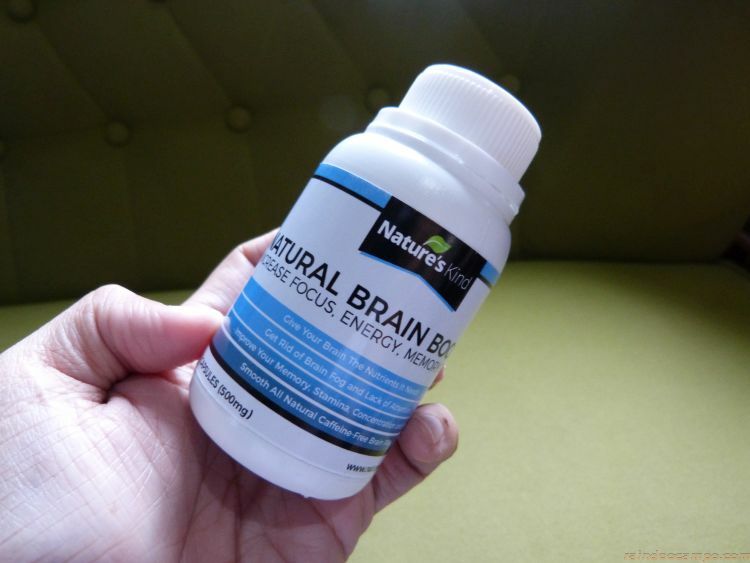 NATURAL BRAIN BOOSTER is available in bottles of 90 capsules at an SRP of 899 pesos. It is currently available in Lazada at a 22% sale discount (Now 699 Pesos only) – GO HERE.